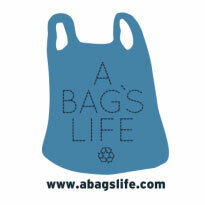 A Bag’s Life is a public education campaign that unites non-profits, business, community and government organizations around the common goal of promoting reduce, reuse, recycle as they relate to plastic bags and wraps. The website includes a description of the “Bag Family”, a zip-code locator to find drop off sites, and more info on recycling plastic film. Georgia via GRC is one of 8 states involved in the program. Retailers involved include: Walmart, Target, Lowe’s, JC Penney, Publix, Kroger, Food Lion and Harvey’s.